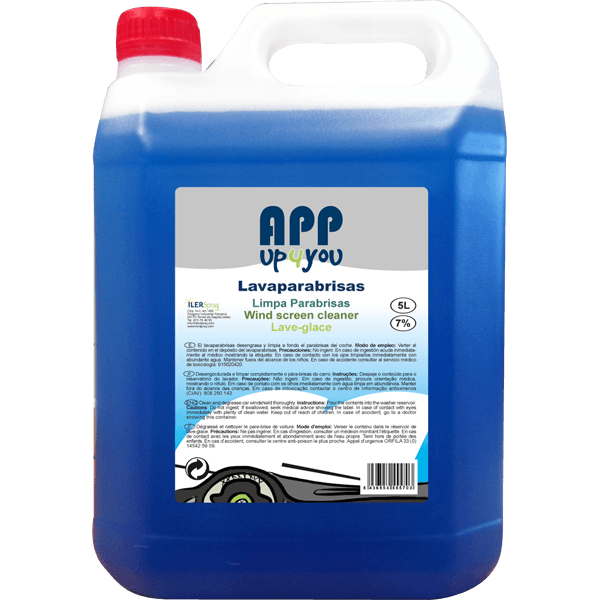 The APP washer is a product formulated for direct application in the windshield washer reservoir. Its formulation allows removing dirt due to mud, mosquitoes, fat, etc ... Avoid freezing in winter and moisture on the windows. Veils leaves. Quick drying. Available at 7% and 15% alcohol content. Available in other concentration ranges.